← Are you still awake? … Trying to decide what colour to theme your wedding? Most of you who know me will know that as a registered nurse and occupational therapist … as well of course a makeup artist, beauty therapist and fashion stylist … I am very conscious about using good quality, natural, mineral and organic products that are safe for all to use but that also achieve great results for all. So I thought I would share one of my greatest finds with you this week. 1. My skin care regime is so easy I can follow it everyday without skipping a day or a night. 2. I now use moisturiser daily (with combination skin closer to the oily side moisturiser use has always been a nightmare). 4. My skin is radiant and blemish free everyday! So what products of the range do I use? Every 3 months I have a standing order through the Rubifresh Community of Angels program and at the 6 and 12 month anniversary of being on the program you receive free product to the price of 20% of your order. Plus you get FREE shipping, FREE trial of all new products, and the opportunity to be on the testing panel for the development of new products. As far as I’m concerned perfect for my needs! Due to my skin type I personally use the Cleansing Gel (pictured left back) as a light morning and night cleanser. It is divine. It has a light natural non-specific scent, has a very light foaming quality and leaves your skin squeaky clean! Not to mention ingredients that facilitate collagen production keeping me ever young! Each morning after my light cleanse I dive right in for the Daily Facial Scrub (pictured front). Oh my god I cannot get enough of this stuff. Those of you who know me really well will know I have never drunk tea or coffee but this my friends, is my equivalent morning kick start. Firstly with a base of Kaolin (pink clay) its a great way to scare your partner first thing in the morning as well. But on a serious note unlike other facial scrubs its not designed to strip away all the essential moisture and oils from the skin and contains over 90% organic ingredients. the mint in it Is the zing part in my morning! After the Daily Facial Scrub come the Hydrating serum (pictured back middle) and Anti-aging moisturiser (pictured back right). I go with the serum first, although to be honest I’m not sure if there is supposed to be an order – this works for me though. But these two products amaze me! With my skin type I have tended to steer clear of anything hydrating and moisturising as it seems to just turn my face into an oily mess. Not these. I use three pumps of each in the morning only. The serum smooths on beautifully and instantly feels like it plumps and smooths the skin without leaving an oily residue. The moisturiser does feel a little thicker than I would normally even consider but after the serum the skin seems open and absorbs the moisturiser sensationally. Both of these leave my skin feeling smooth and vibrant making my makeup application an absolute breeze. Not to mention the ingredients in the moisturiser offering SPF benefits. I have been using the Rubifresh range solidly for a little under a month now and normally by this amount of time of using various products my skin would react or grow use to the product and it would no longer work as well. I would also normally experience breakouts or a large increase in oil. Not these I continue to see wonderful benefits and my skin has never felt better! I now also share these wonderful products with my clients and am seeing great results for them also. 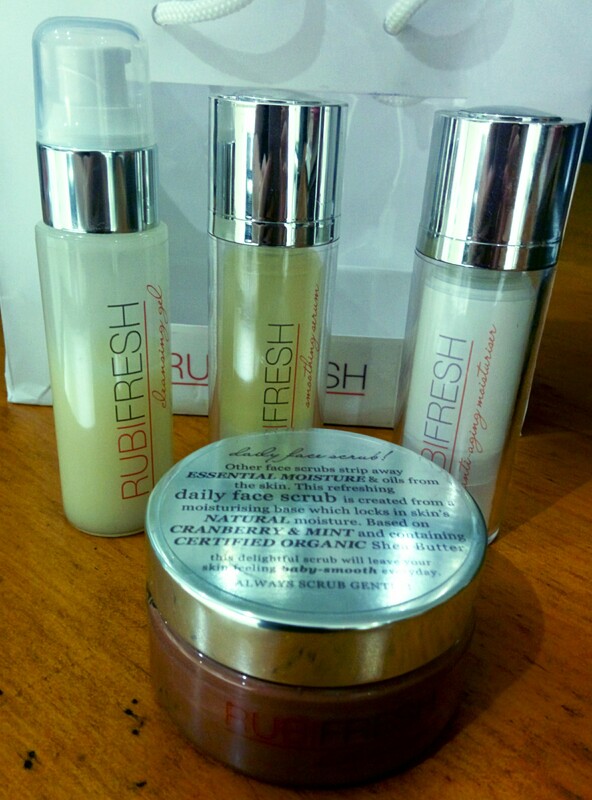 If you would like to try Rubifresh for yourself book me for a facial. 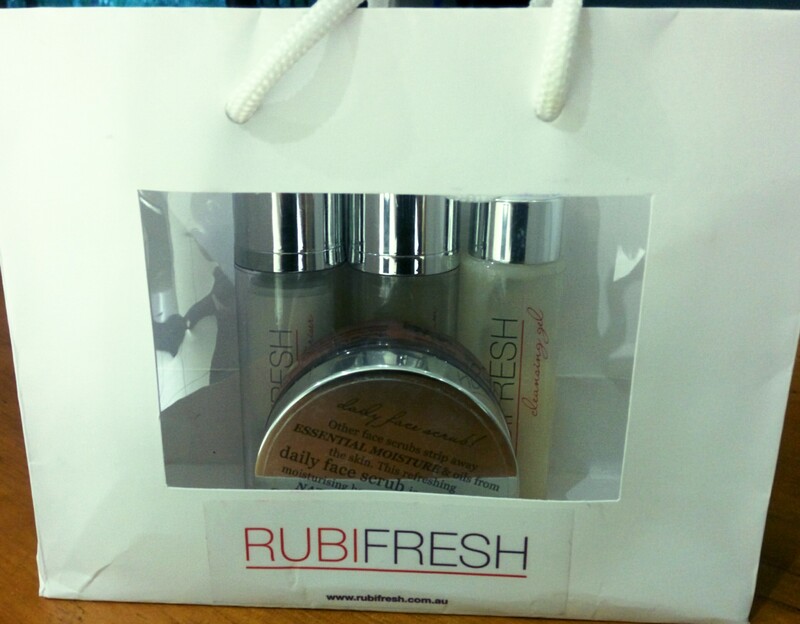 If you opt to have a luxurious facial with your wedding makeup trial not only will you get to experience Rubifresh for yourself but it will only cost you a $note donation of your choice, 100% of which will go to the Look Good …Feel Better Organisation supporting women with cancer. Hope you found this helpful and looking forward to hearing from you and your thoughts on Rubifresh when you try it. Have you tried Rubifresh products? What was your experience?